Few vehicles do as many things as well as the 2008 Honda CR-V. As practical as a backpack, this benchmark crossover is an easy, one-size-fits-most car choice. Enjoy the ride, but be proactive with technical issues. I like the way my CR-V handles, it provides a comfortable ride, and I like the vantage point it offers with clear sight lines, and easily accessing blind spots. It sits rather high, so I had running boards added to give the older adults I transport easier access. The reason I have downgraded it is mainly due to the inconvenience of the recalls I have experienced that began the year after its purchase. The first affected the door locks which would randomly buzz and unlock, and the volume of the buzz became loud enough to cause passengers to inquire what on earth the sound was. It turned out that it was an inherent flaw for which a recall was issued. The dealership remedied it, but a year later, the same problem resurfaced with the back door locks. They didn't spontaneously unlock, but when locking it was accompanied by a very loud buzzing sound. When I returned to the dealer to inquire, they said they were caused by a separate electrical issue, and would cost about $400 to repair. I did not see how they couldn’t be part of the same recall and declined service. I have been inured to the sound over the years, but it still alarms passengers. There was another electrical issue that impacted my radio/CD player, which they did address at no charge. There were three different recalls for my air bags. 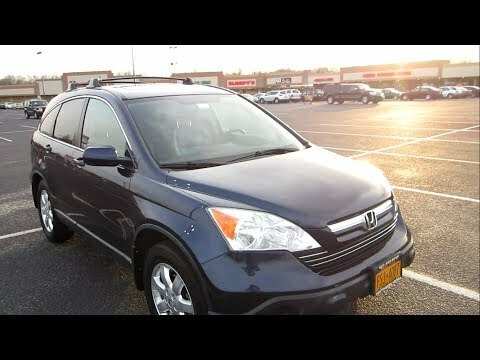 So, bottom line is that I would still purchase another CR-V, for its ease of handling, it is comfortable ride, and it's clear visibility, but at the first sign of an issue, I would definitely seek out service, and if my claim were to be denied, I'd be more proactive about seeking recourse. Oh, and PS, as a driver in cold winter months, I'd definitely go for the heated seat option in the future! Despite recalls, my decade old Honda CRV is a trooper. I love the sturdiness of the CR-V, I like the sightlines it offers, including access to my blind spot. I am not happy with some problems that revolve around recalls that have not been completely addressed; the electrical system key among them. I have had trouble with the door locking mechanism and after the recall that resolved the front door locks, the back door locks exhibited the same issues. But the dealership said that the problem was not related and would cost upwards of $300 to repair, so I have just lived with its noise since. I just have to rely upon the company's claim that the two airbag recalls have been taken care of, and I do appreciate that they kept me abreast of that situation. Overall though, I feel that this car has maintained well over the course of the years compared to my Oldsmobile and Mazda choices. I will be purchasing a new car in 2020 when we move to our retirement home out west, and I will consider Honda if they offer a comparable mini van with a hybrid option. Great on gas, super speed. The Honda CR-V is a compact SUV that provides style, power, and responsive handling. The CR-V comes in three trims: the lx, the ex and ex-l. It is available in both front- or all-wheel drive. There are multiple safety features including front seat airbags, front seat-mounted side airbags, front and rear seat side air curtains, front seat active head restraints, anti lock brakes with brake assist, electronic brake-force distribution and vehicle stability assist with traction control. The CR-V is powered by a 166-horsepower inline-4 cylinder engine and controlled by a five-speed automatic transmission. For 2008, the Honda CR-V carries over with more standard features on the ex-l trim. The Jeep patriot is available in two trims, sport and limited, which have a standard 172-hp 2. 4-liter four-cylinder engine and five-speed manual transmission; a continuously variable transmission (cvt) is optional. A 158-hp 2. 0l engine, available with the cvt only, is available on the fwd. sport trim.